The actress is featured in the French label’s latest fashion campaign. 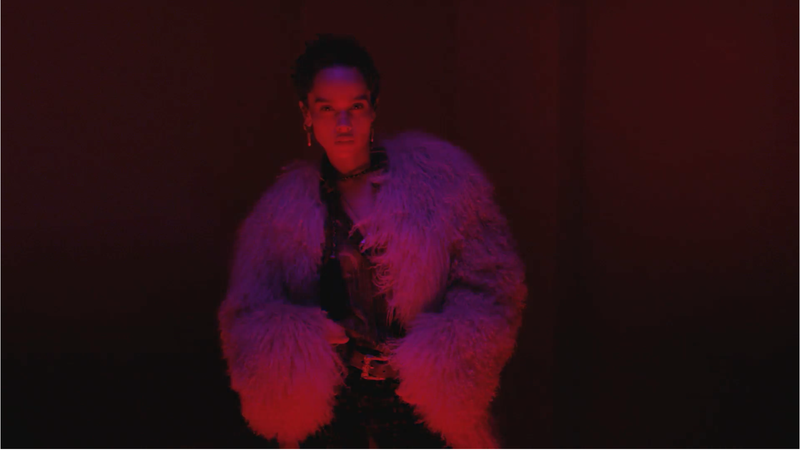 Saint Laurent just released a short film for their Fall 2018 collection, and it’s starring actress Zöe Kravitz! After presenting the collection under the sparkling lights of the Eiffel Tower during Paris Fashion Week, Saint Laurent’s creative director Anthony Vaccarello has released the campaign for Fall 2018 lineup. The campaign, which was directed by film director Nathalie Canguilhem, features Kravitz alongside aspiring actor-turned-model Lennon Gallagher. Throughout the video, Kravitz is seen wearing gorgeous pieces from the upcoming Saint Laurent collection including an embellished blazer, leopard booties and a shaggy shearling coat that we absolutely love.